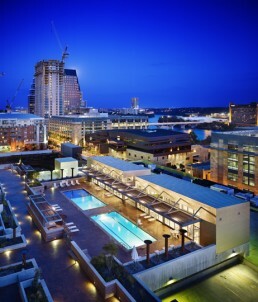 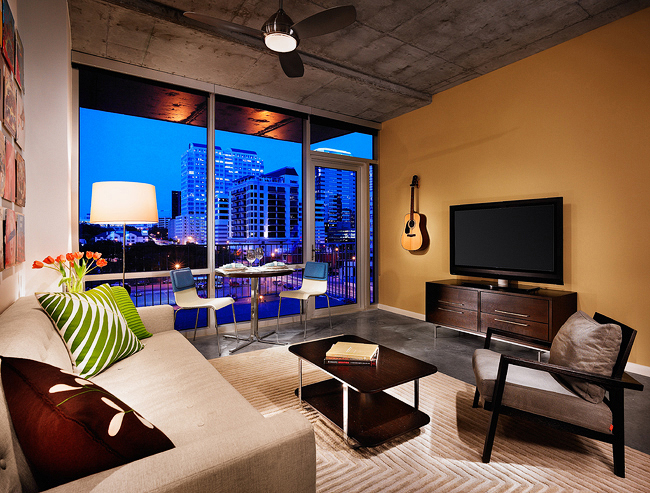 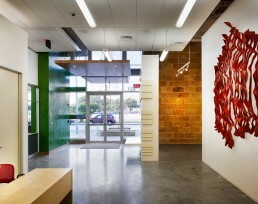 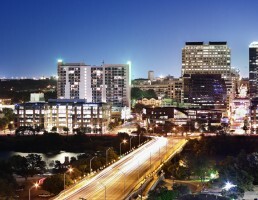 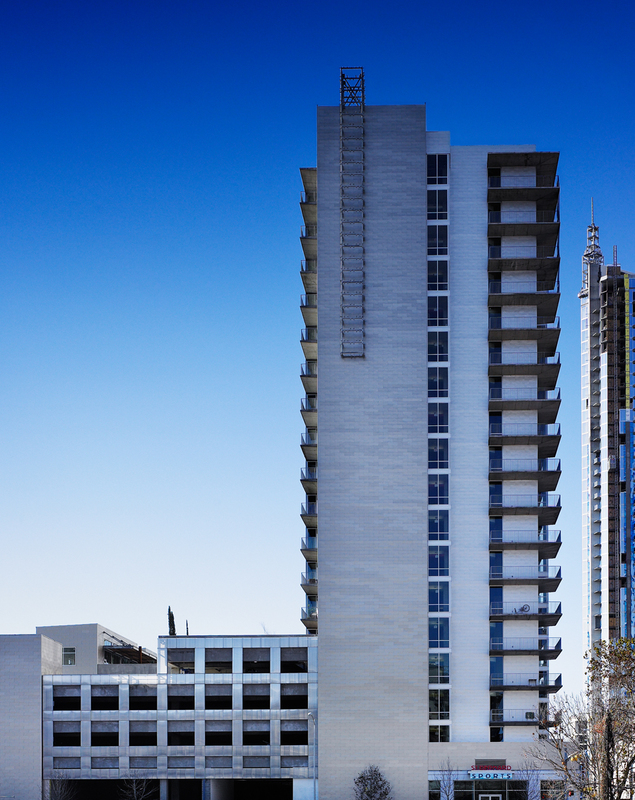 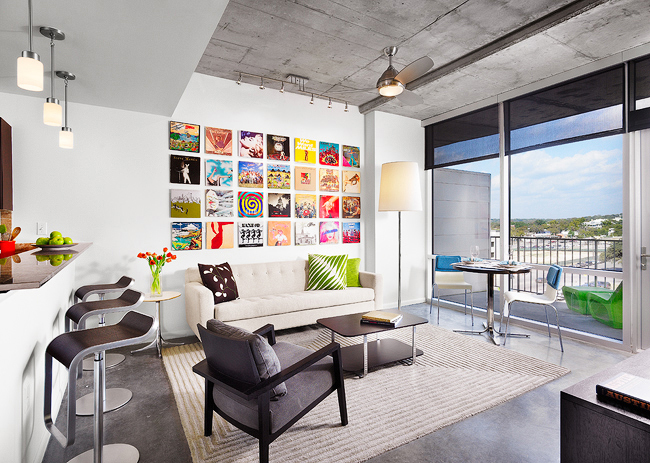 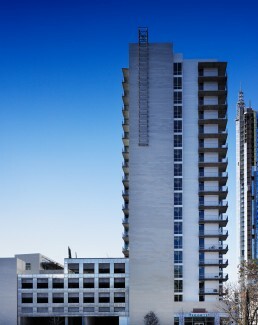 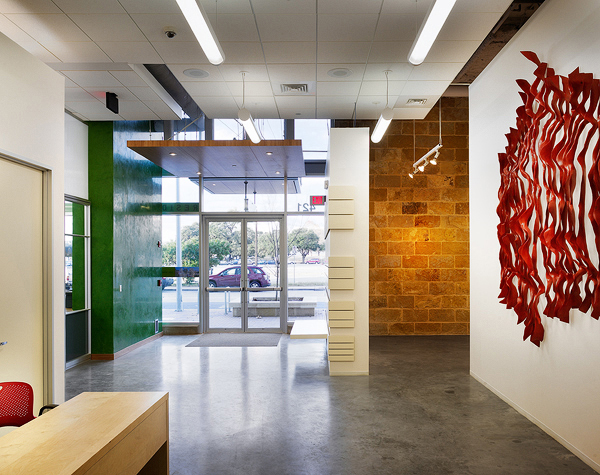 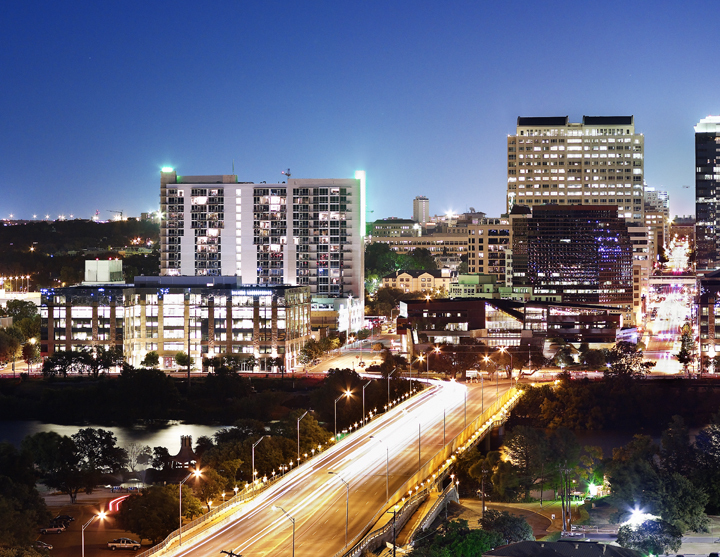 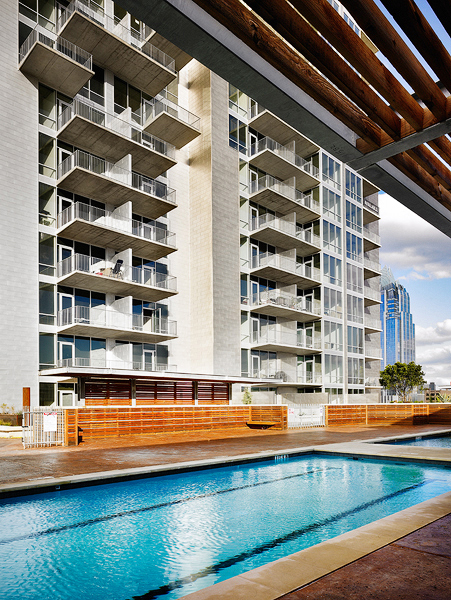 AMLI’s first urban high-rise is a vital force in downtown Austin’s rapidly developing 2nd Street Retail District. 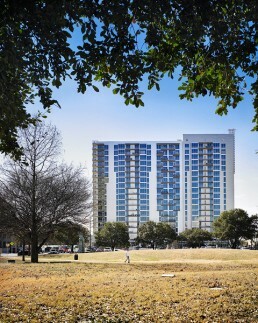 The 18-story, three-star-green building integrates 17 floors of apartments, 35,000 square feet of ground level retail, a spacious amenity deck and 4 1/2 levels of above-ground parking. 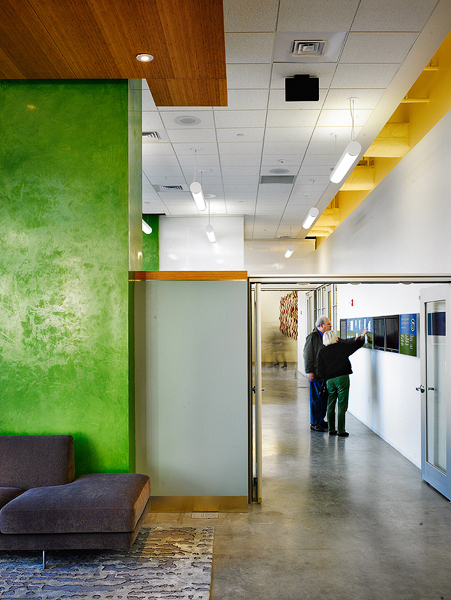 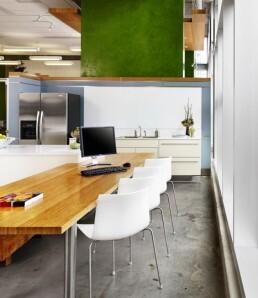 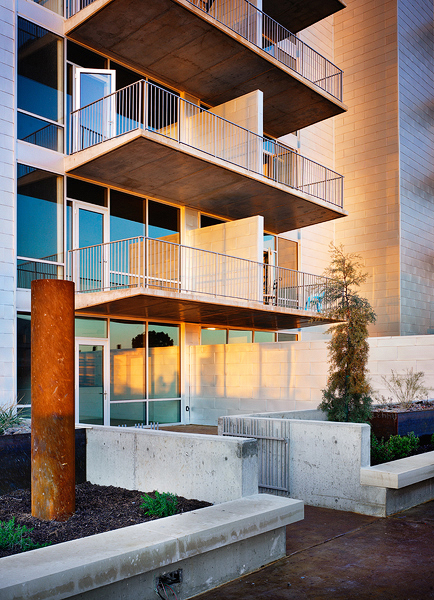 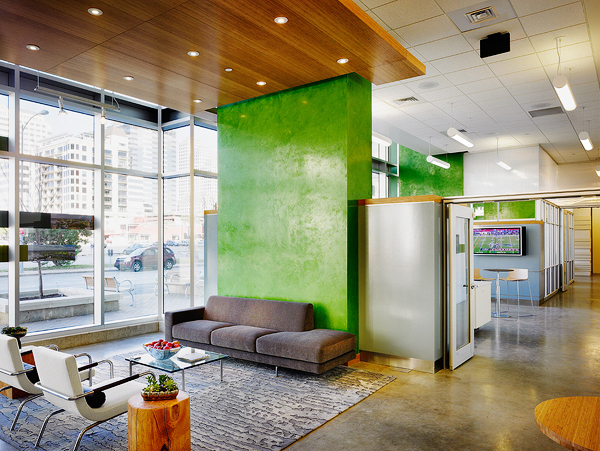 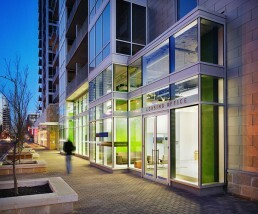 The building image is contemporary, clean, and responsive to its urban context. 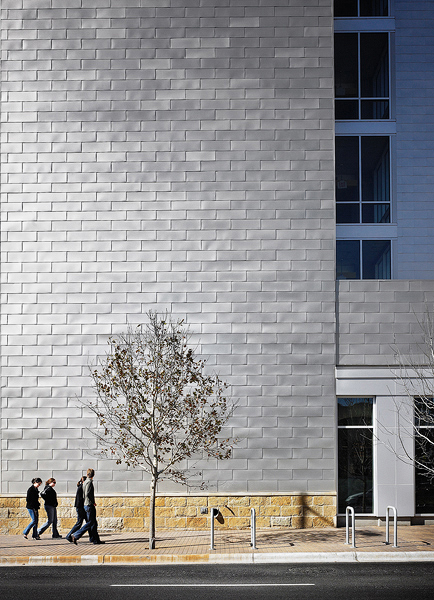 Anodized aluminum shingles articulate the different building volumes, and a distinctive staggered window pattern breaks down the scale once again. 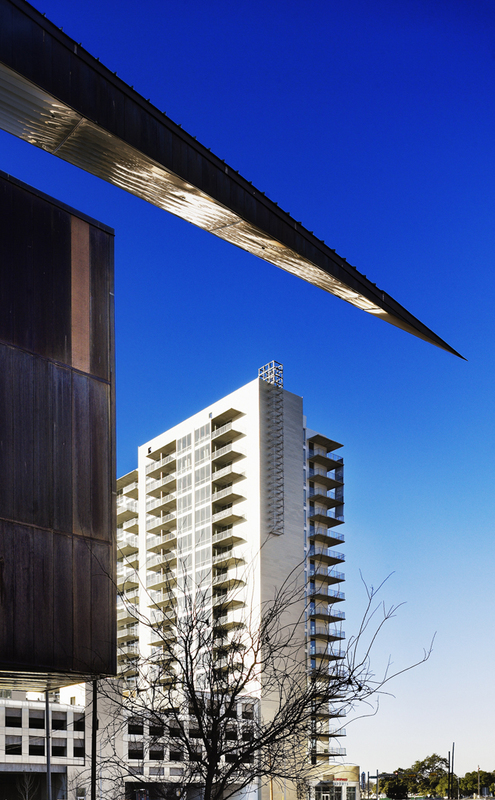 The garage is draped with a lightweight steel and polycarbonate armature that screens cars from view while diminishing the structure’s mass. 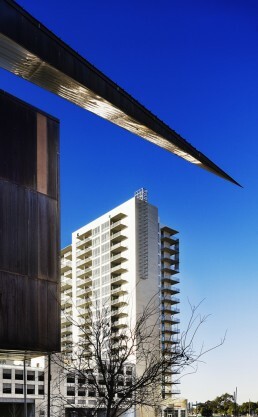 The tower is designed to high sustainability standards using optimal massing, extensive sunshading, and an innovative “rainscreen” wall assembly.